Last year, experts at the International Union for Conservation of Nature (IUCN) produced a list of the world's 100 most endangered animals and plants, and one particular animal caught my attention. 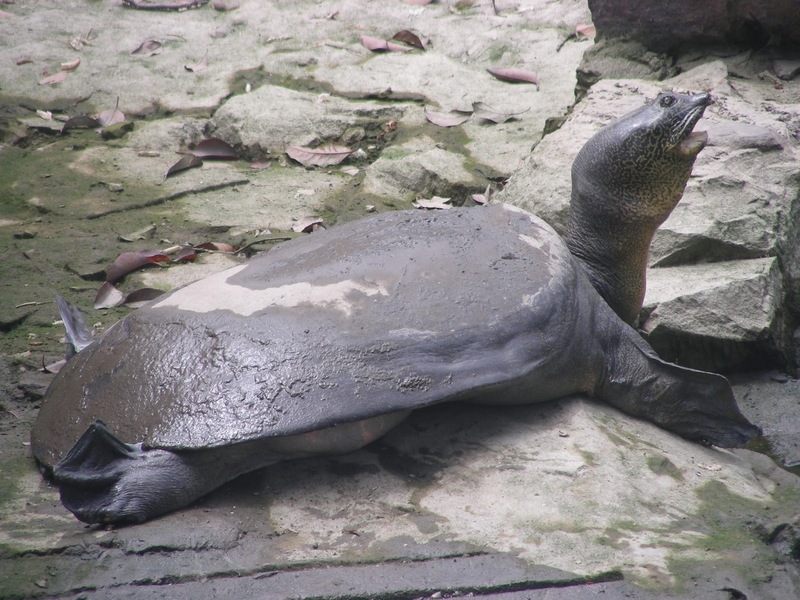 It's the Red River giant softshell turtle, or Yangtze giant softshell turtle. It is perhaps the most endangered species of all animals because there are only four individuals left--all of them in zoos-- in the world. When I first read about the rarity of this species I couldn't put my mind to accept that there are only four, yes, one two three FOUR of them left in the entire world. With only four individuals, the genetic pool is generally unrecoverable. Without enough individual to provide genetic variation, all the offspring of these individuals could succumb to a common disease. 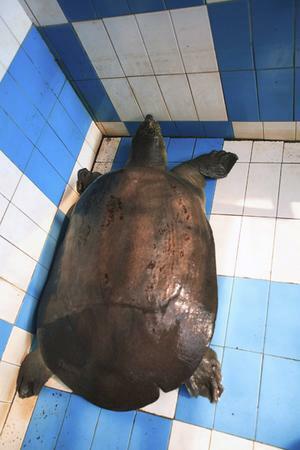 This species holds the record of being the largest freshwater turtle in the world. It can weigh up to 300 pounds, with a shell that is up to 40 inches long. Once commonly found in lakes and rivers all across China and Vietnam, the giant turtle is now on the brink of extinction. The animal holds a special place in Vietnamese folklore. Legend has it that in the 15th century, a giant turtle rose from Hoan Kiem Lake to reclaim a magical sword that was given to Emperor Le Loi to expel the Chinese army from Vietnam. Some people believe that the single, large soft-shell turtle that occupies the lake today is the very same turtle that retrieved the sword from the Emperor and returned it to God. Currently there are two individuals living in Suzhou zoo in China, one of which is a 105-year-old male. The other two lives in Vietnam, one at Hoan Kiem Lake and another at Dong Mo Lake Son Tay. Time is running out for the turtle. 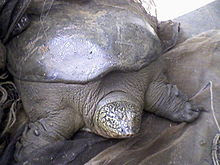 As I've mentioned above, the male turtle in Suzhou zoo is 105 years old. His mate is 85, not that young either. Together the couple had already laid several clutches of eggs in the past few years, but none hatched. And once they're dead we'll have another species to add to the long list of animals pushed to extinction by humans. very sad, the world will be a lonelier place when they are gone. . .